"The beauty of this book, overall, is its not-neatness, its focus on the out-of-focus, its one minute a story, its next minute a footnote, its edginess, its familiarity, its murkiness, it’s really good." "Three Men on the Edge is a remarkable first book. Described as flash fiction, it is a series of three stories, each about an isolated man. 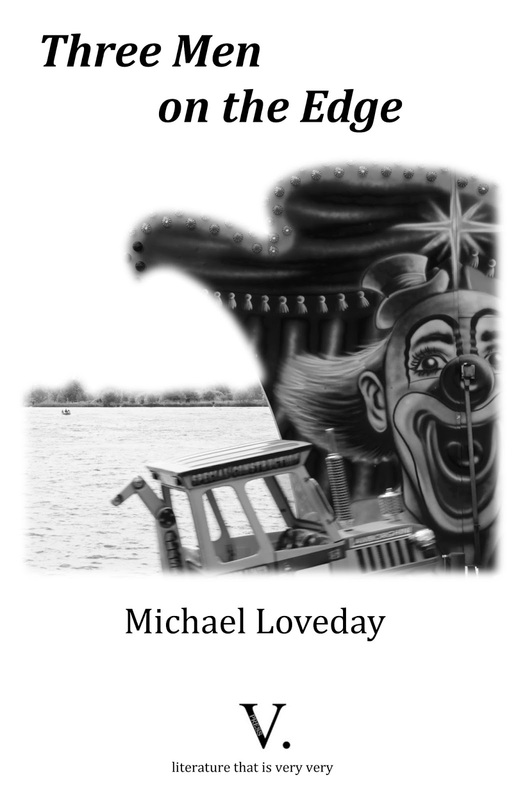 Michael Loveday presents the different characters with subtle understanding and sensitivity, taking the reader into their heads as they struggle to cope with their feelings and lives in the edge lands of Rickmansworth. The observation is acute and the use of language brilliant, the pared writing offers irony, humour, sadness and lyricism. With its use of compression and striking imagery the book has many of the characteristics of poetry and to me it seems on the borderland between poetry and prose. 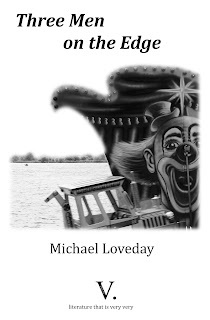 In Three Men on the Edge Michael Loveday emerges as a fine writer. I look forward to seeing what he produces next." Myra Schneider, 5-star review on Amazon here. 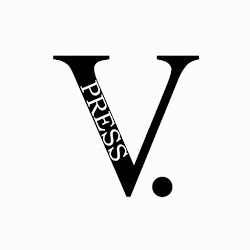 "an exciting hybrid of poetry and flash-fiction, published by the impressive V Press. Sarah Westcott, The Literary Loper, the full review here. "There is heartache and humour in this tale of three men on the edge of lonely despair. Each tells his own story about coping with anger, self-doubt, depression in precise and beautifully crafted segments where the author is not afraid of introducing the heightened surrealism of troubled thoughts and dreams..."